Ex Fox CEO Roger Ailes has been dead for only a year and Hollywood is already feasting on his corpse. 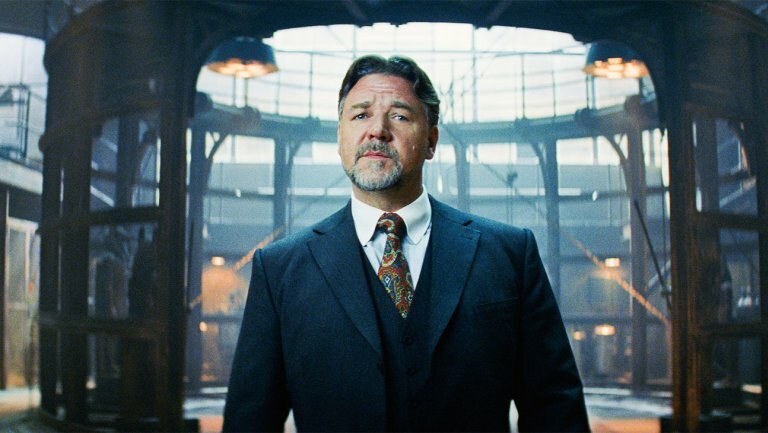 There are numerous TV shows and films in the works about his downfall, and last year we learned Blumhouse had a series in development at Showtime, and now we know it'll be Russell Crowe playing the disgraced media head. Crowe will star in The Loudest Voice in the Room, which is based on the book by Gabriel Sherman which chronicles the rise and fall of Ailes. A prominent Republican media consultant for Richard Nixon, Ronald Reagan, and George H.W. Bush, he would become one of the most powerful men in the world as CEO of Fox News. In 2016 his career ended in disgrace over a series of sexual misconduct allegations by Fox News employees. Spotlight director Tom McCarthy will co-write the pilot's script with Sherman. A lot of talent behind this one. Crowe adds Oscar-winning cred to the series, and looking at it on paper it's easy to peg this as a potential Emmy candidate.